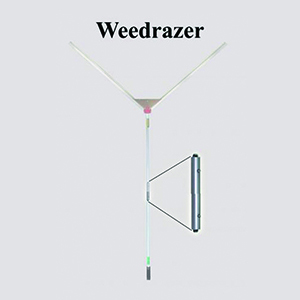 The Weed Deflector is an accessory for the Weed Razer designed to enhance the performance of the Weed Razer. 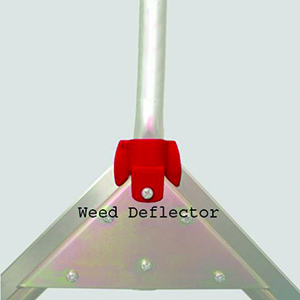 Weed Razers sold prior to 2008 were not equipped with the Weed Deflector. 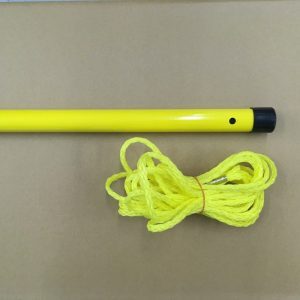 If you already own a Weed Razer and would like to enhance its functionality, the weed deflectors are highly recommended. It is easy to install on your Weed Razer. 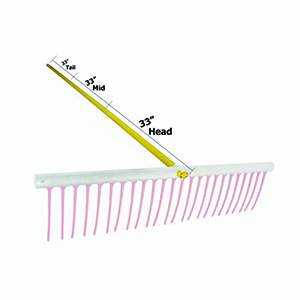 Remove the top bolt from your blade support bracket, slide the Weed Deflector over the handle. snap it in place and reinstall the bolt.